Your dog is an important member of the family, so it’s only natural that you’re going to want to make sure that you feed them the best possible food you can. While you think buying dog food is as simple as picking up whatever is on sale, it’s recommended that you find a dog food that will be able to give your dog the nutrition they need for each stage of life. This is where IAMS PROACTIVE HEALTH Adult Dry Dog Food comes into play. In this review, we are going to talk a little more about the features of the IAMS PROACTIVE HEALTH Adult Dry Dog Food, but we are also going to give you an overview of what people who have purchased the dog food had to say about their overall experience with it. Then, we’re going to give you our recommendation on whether or not this adult dog food is something you should consider purchasing for your own dog! When it comes to feeding your dog a good dog food, you’re going to gravitate toward brands that are known for high quality products. The IAMS company is a popular choice because it is synonymous with excellence. There are numerous products under the IAMS umbrella, all of which emphasize the nutritional value in their food. Chicken – After cooking, most of the water is removed, greatly reducing the actual meat content. Cornmeal – An inexpensive and controversial cereal grain with little nutritional value. Chicken By-Product Meal – Left over parts of the chicken after prime cuts have been used. Beet Pulp – High fiber by-product after the sugar beet processing. Chicken Fat – Fat from rendered chicken, rich in Omega-6 fatty acid—essential for all life. The IAMS PROACTIVE HEALTH Adult Dry Dog Food is formulated for dogs older than one year old. The formulation of the food is going to help your dog build strong, firm muscles with chicken protein, but your dog will also get essential nutrients for a healthy heart. The dog food is enriched with antioxidants that will help maintain your dog’s immune system, but it also features a gentle source of fiber to help your dog’s body absorb the nutrients it needs. The crunchy kibble of the food will keep your dog’s teeth free of plaque and tartar buildup, which ultimately leads to bad breath. This dog food comes highly recommended by vets because it is completely balanced with no artificial flavors, preservatives, or fillers. When we looked at the user reviews, we saw that 88% had great things to say about the dog food and left 4 or 5-star reviews. Of these reviews, people commented on how quickly their dogs with sensitive stomachs respond to the food. One customer stated their dog had loose stool for 10 days and when they fed them this food, that problem cleared up quickly and they had regular, solid, bowel movements. Customers also have said that this dog food helped their dog’s skin problems within a month. These pups went from scratching themselves to baldness, to not scratching at all. These customers have said that their dogs have a lovely thick, shiny coat. Another customer said that this good is excellent if you have large dogs that are pretty active, as it gives them the energy they need to stay playful and active. So what did the remaining 12% of customers who left 3-star or below reviews have to say? The most common complaint customers had was that the food smelled moldy to them. When they asked for a replacement, the second bag smelled the same. Several customers have commented that the bag of dog food they received was damaged and one customer even found bugs in the food. Another customer said that their latest purchase caused their dog to have severe gas, whereas previous bags did not have that effect on the dog. Another customer said that their dogs, who were not picky by any means, wouldn’t touch the food. The birds, however, enjoyed it. 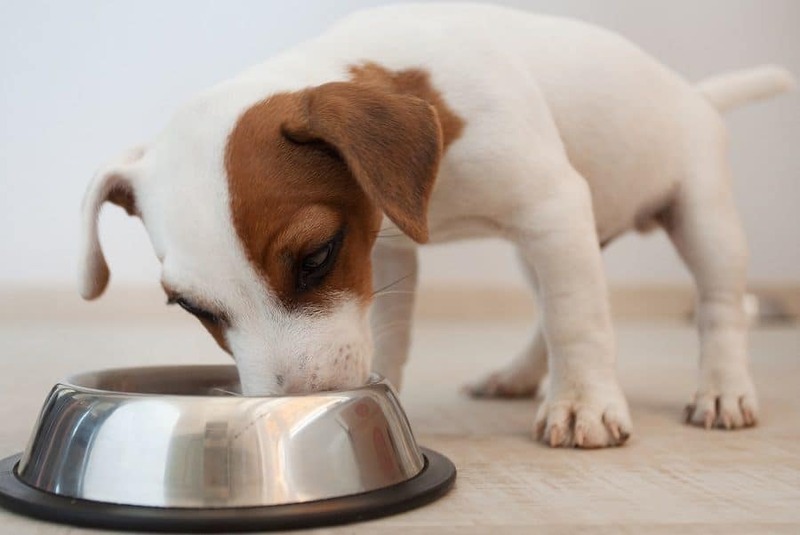 Of all the dog food brands available, it can be a challenge trying to decide which food is going to give your dog the nutrition they need to stay healthy and fit. You might think that any old dog food will do, but that isn’t the case. When you’re picking your dog’s food, you have to think about the ingredients in the food as well as the overall budget. The IAMS PROACTIVE HEALTH Adult Dry Dog Food is both affordable (priced just slightly over $25) but it also features a quality protein source as well as a variety of healthy nutrients that your dog will benefit from. The L-carnitine in the food will help build fat faster and boost your dog’s metabolism, the amino acids, protein, and Omega-6 acids are all essential nutrients that will help keep your faithful pal happy and healthy. If you decide to make the switch from one food to another, you’re going to want to gradually introduce your dog to the new food. Though they may not take to it right away, but by slowly incorporating it in small amounts into their regular food and then increasing it, their bodies will get used to it and they may not even notice the change. Before you purchase a large sized bag, we suggest you try a smaller bag first, just to see if your dog will take to the food or if they’ll turn their nose up at it. 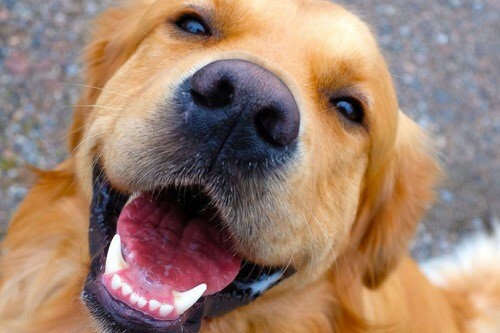 We would hate for you to spend your money on a dog food that your pup won’t even sniff!